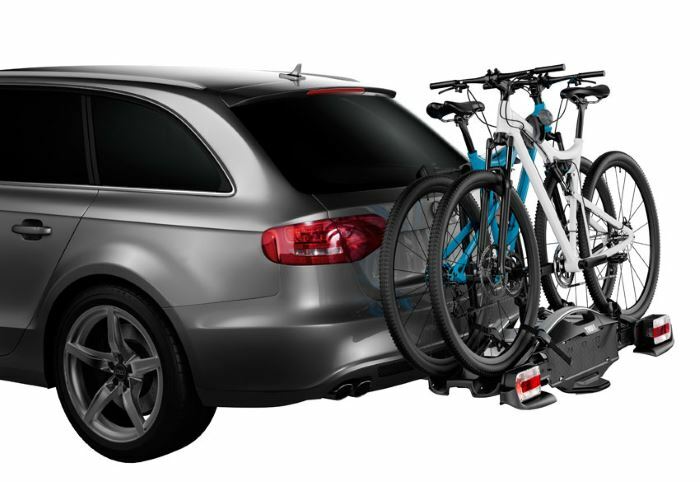 Thule's most compact and lightweight tow bar cycle carrier for everyday use. Suitable for transporting 2 bikes. 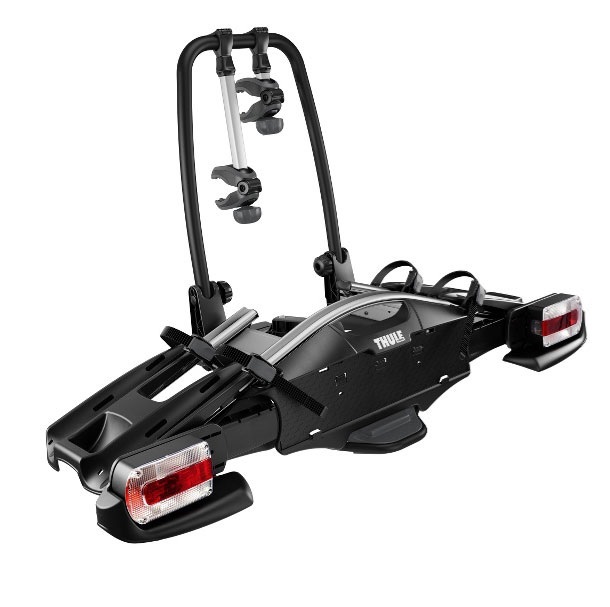 The THULE VeloCompact 2 (925) is a lightweight and compact 2 bike carrier that clamps onto the towcar using a simple hand operated clamping system. The easy to use patented coupling is suitable for all types of towbars. Loading your bikes is very straightforward using the detachable frame clamps. 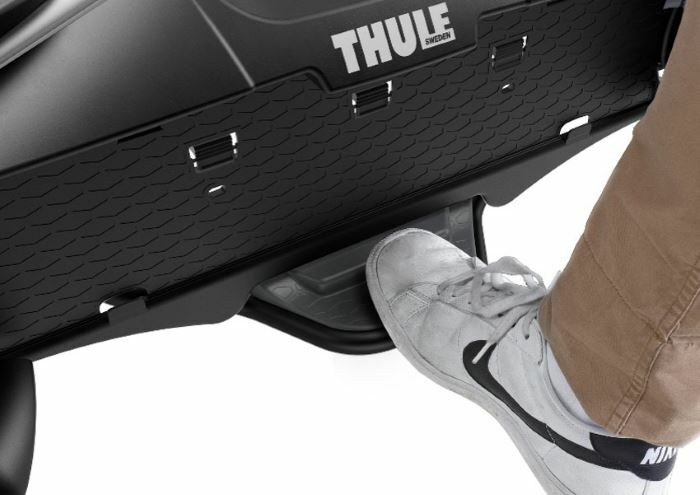 The entire carrier can be tilted away from the vehicle for accessing the boot using a foot operated pedal. 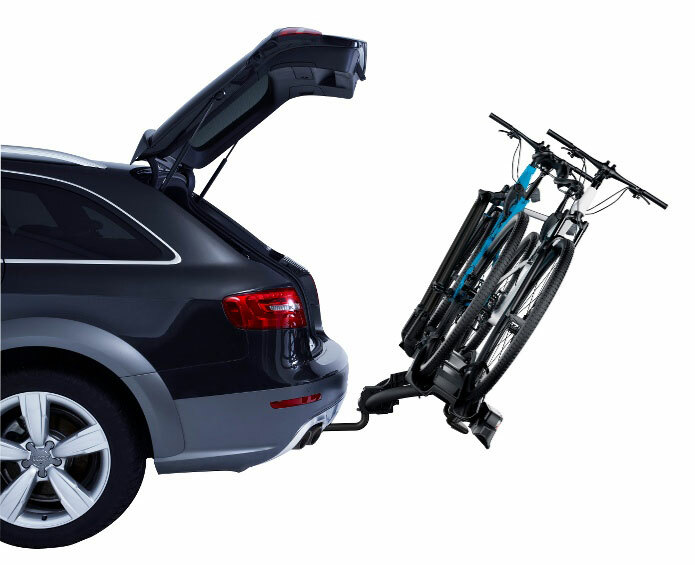 This bike carrier is also compatible with cars fitted with a rear mounted spare wheel providing you use the Spare Wheel Adapter 9241. Note you will lose 1 bike space reducing the capacity for the VeloCompact to 1 bike only. Easy mounting of 2 bikes through detachable bike arms. 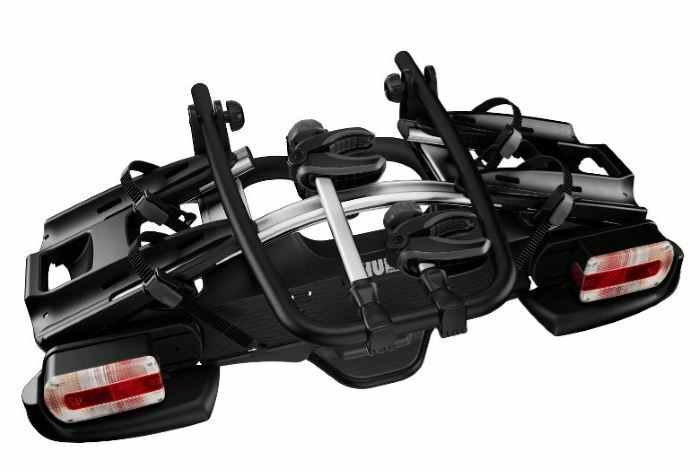 * IMPORTANT NOTE - Video may not show the current model for the Thule VeloCompact 2 925. 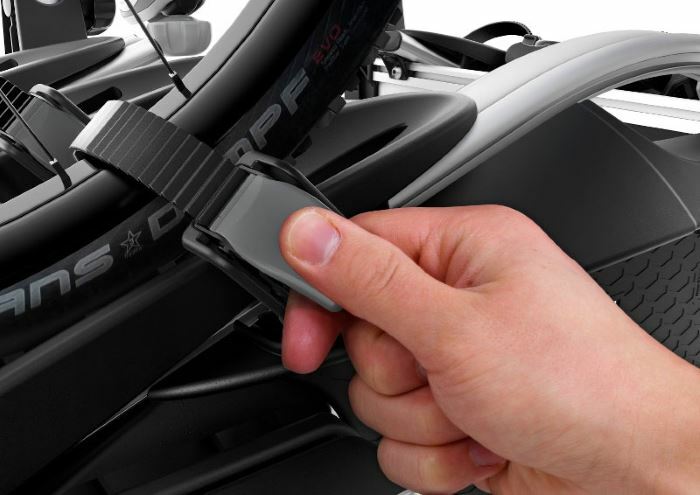 We offer a delivery service for the Thule VeloCompact 2 925 throughout the UK & Ireland to home and work addresses. 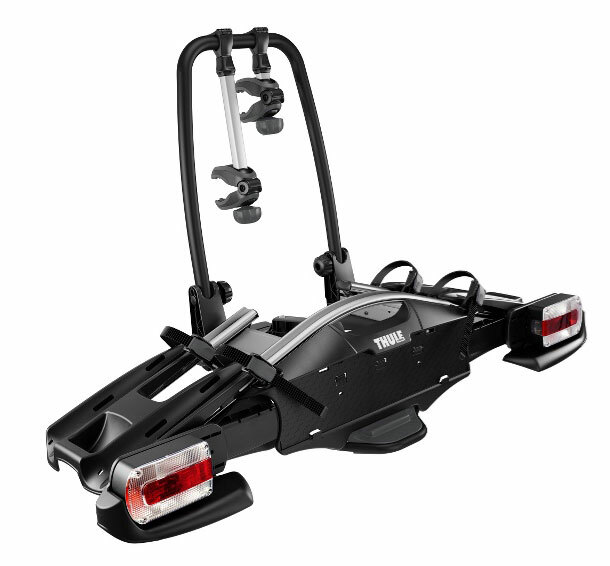 Buy a Thule VeloCompact 2 925 online from our website and collect from one of our nationwide branches.